TV and film actor and Syed Rizwan Wasti, was a famous showbiz, specifically TV artist who started his career as TV newscaster but subsequently entered into acting, mainly he focused his career at Ptv with graceful roles, his vocal and clear dialouge delivery were the glaring aspects on his credential. Though he did his Bachelor’s of Law from SM Law College but he chose a career in radio as an English newscaster that made him the youngest newscaster of the sub-continent. Side by side with his career as TV artist, after spending more than fifteen years plus in Radio Pakistan, he joined National Bank of Pakistan from where he got retirement as vice president of the bank in 1996. During this period he debut his acting career as Judge in a Ptv famous drama Shama. 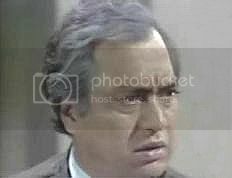 Then he performed different roles in more than two hundred plays including Afshan, Shaheen, Khuda ki Basti and Tabeer. He also worked in a movie named “Insaf our Qanoon” with Mohammad Ali and Zeba. Other than acting he had also written two books i.e. “Sher Shah Suri” and book of poems, “A chorus of echoes”. During the start of his career as artist he got married with TV actress Tahira Wasti and with passage of time was blessed with three children which include Laila Wasti who is also an TV artist. Rizwan Wasti at the age of 74, passed away on 24 January 2011 after suffering a brain hemorrhage. Wasti was buried at the Gizri graveyard, DHA.